Oh no ! Sorry to hear about the slog at Omaha. As you said, it may have been just the right combination of factors prior to race day and on race day that came together to precipitate the outcome. Onwards and upwards, though. 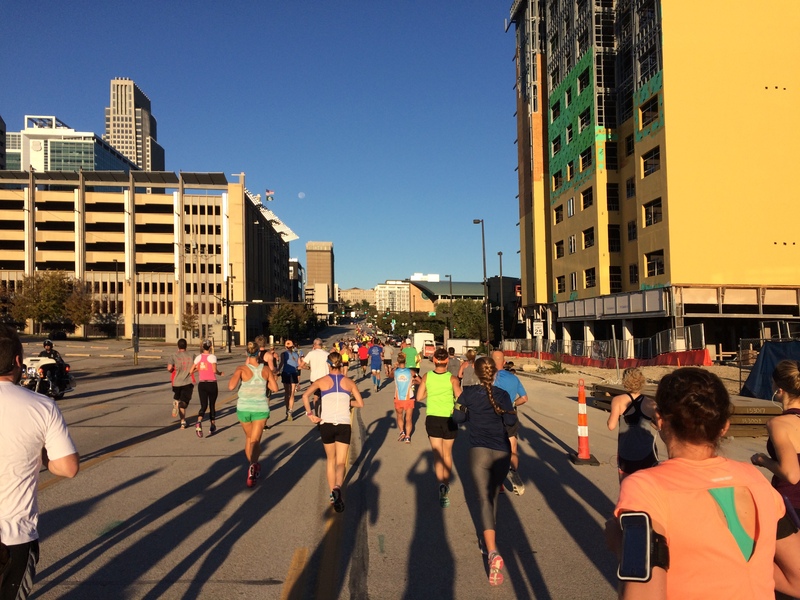 Does racing marathons still excite and motivate you ? 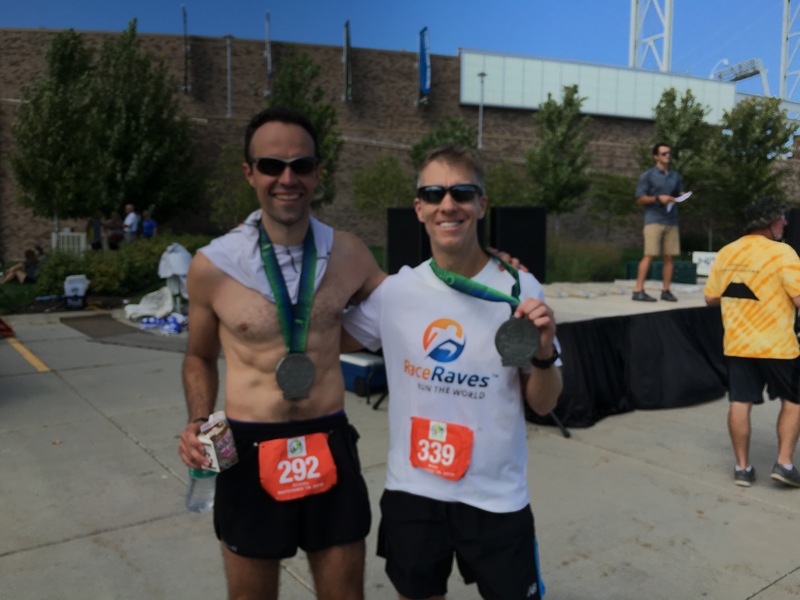 Perhaps some time away from marathons after your 50 state quest is complete will recharge you mentally and physically. I guess I’ve found that I put an unhealthy amount of pride and excitement in whether I can post a competitive time. If I lose fitness to the point of struggling to finish in below 3:40, then I’ll have to either train like an idiot before signing up for another marathon, or reevaluate what interests me about the sport in the first place. Hopefully, I have the knowledge and tools to do the former, so I think that’s what I’ll be doing this winter. Thanks for reading! Wow, that’s perplexing to say the least. Hopefully it was just a random thing, and Rhode Island fares better. Good luck! Rhode Island fared better, so I’m no longer (completely) confused by the Omaha ordeal. But with no more race registrations paid for, I’m not sure when the next test will be. Thanks for reading Jen! 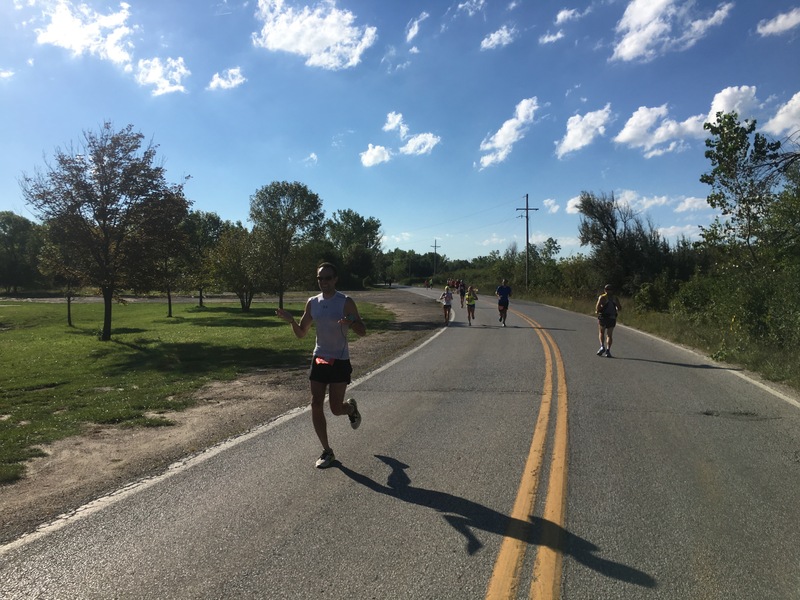 Sometimes the body just isn’t in the mood to cooperate – let’s just hope is was a fluke, and nothing to jeopardize the comfort of future races. As an aside, 4:22 might be your second slowest, but it’s my second fastest ever marathon finish. Ain’t nothin’ to sniff at, but better luck in Rhode Island! Could it possibly be the beginnings of adrenal fatigue? As badly as I’ve been wanting to read this, I made myself wait until I’d (almost) finished my own. Which wasn’t easy, because even though I saw you cross the finish line healthy with my own eyes, the title admittedly raised some concern. Glad the only injury suffered in Nebraska was to your ego. No doubt you’ll be fine in Rhode Island… and I have a good reason for saying that. As frustrating & unprecedented as your bonk was, I know what you were going through out there, because the same thing happened to me at mile 16—in Boston. BOSTON. Despite thousands of the most raucous spectators on the planet screaming at me to keep going, my body suddenly lost all interest in running. And my mind had nothing to say about it. 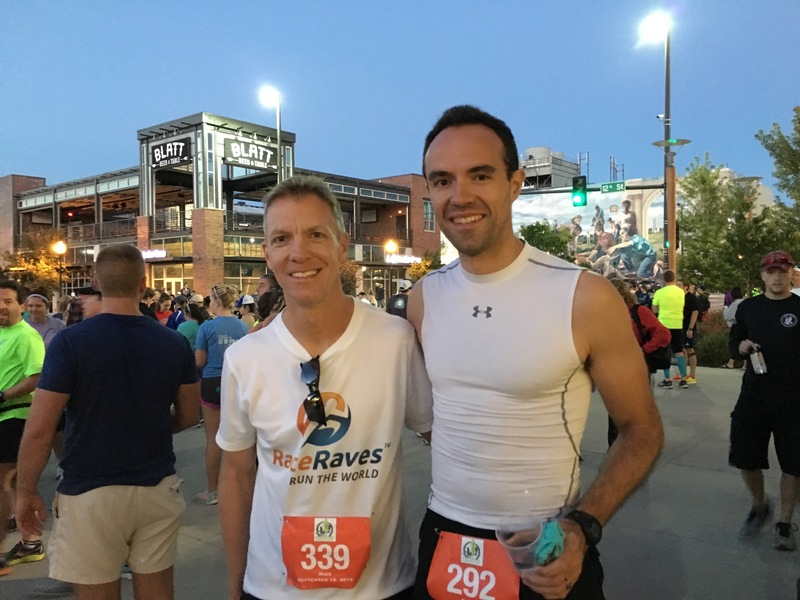 At the time I figured it for adrenal fatigue as T Roy suggests—I’d packed a whole lot into the week leading up to the race—but the truth is, I still don’t know exactly what happened. And six days later at Big Sur, facing the same doubt & hesitation you are now, I ran a faster race on a tougher course in a driving headwind. Go figure. 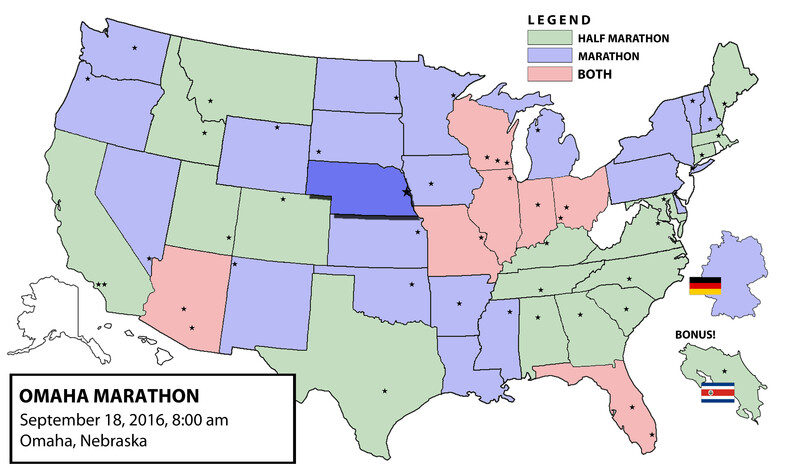 Krishna may be on to something as well—as a runner you never want your 50 states quest to become an albatross, but with that many marathons (and that much travel) it’s impossible not to have motivational peaks and valleys, particularly when the end is in sight and you have to go through Nebraska, Rhode Island and West Virginia to get to Alaska and Hawaii. Inspiring new challenges like Ice Age are few and far between, and you can’t always be chasing that next endorphin high. Remember what Freud said? Despite the outcome, I’m glad we had the chance to experience “Nebraska’s most vibrant city” together while doing what we (usually) love to do. Thanks for making Omaha more memorable than it had any right to be—we’ve got to keep meeting like this! Already looking forward to your breaking out the winged shoes next time we meet. Because sooner or later I’ll cross that finish line with your footprints on my back. Onwards to Rhode Island—chin up, buckle down, redemption Sunday awaits! And don’t forget to listen to “Estranged”. You did bring up a good point, which I was unable to appreciate given how upset I was with my finish: I wasn’t injured. Fatigue and dehydration are awful companions, but at least within a day or so, I had “recovered” from that, and was able to run again. Injuries are rapscallions that are harder to shake. Anywho, the time to adjust my training is now. 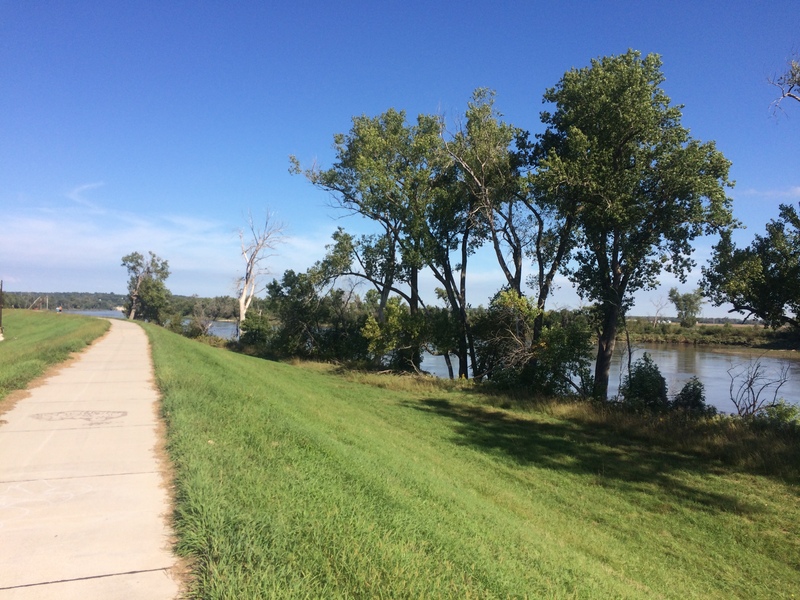 One big part of my Omaha stumble that I almost refused to acknowledge is that I wasn’t able to knock out many quality superlong runs this year. 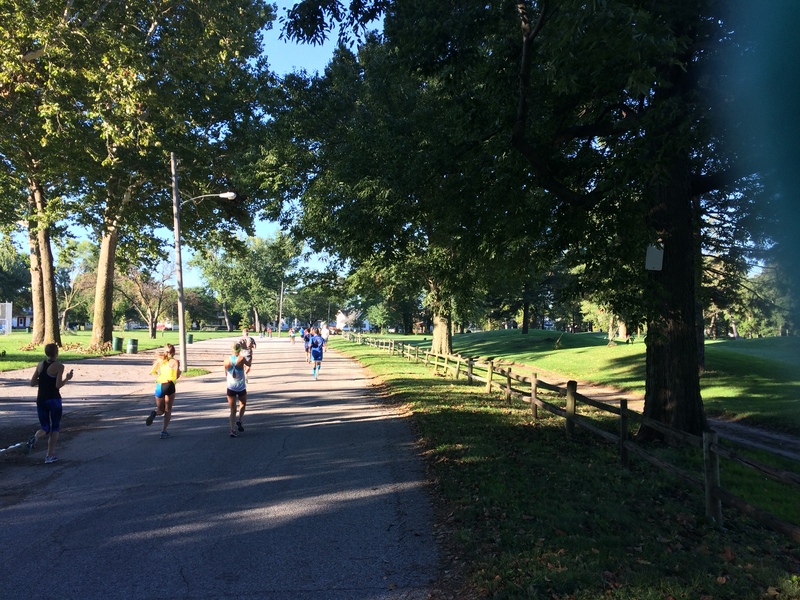 First, it was my injury in the winter/spring that threw off my Ice Age training, and then it was a significantly humid summer in Chicago, squeezing every drop of sweat out of me by mile 12 of any early morning run. Without the distance in my legs, it was tough to stay strong after 18 miles. Fortunately, with the winter, that becomes less of an issue. The real challenge will be getting out the door and making it happen. Because 2016 has been the first year since 2010 where I didn’t improve my marathon time. 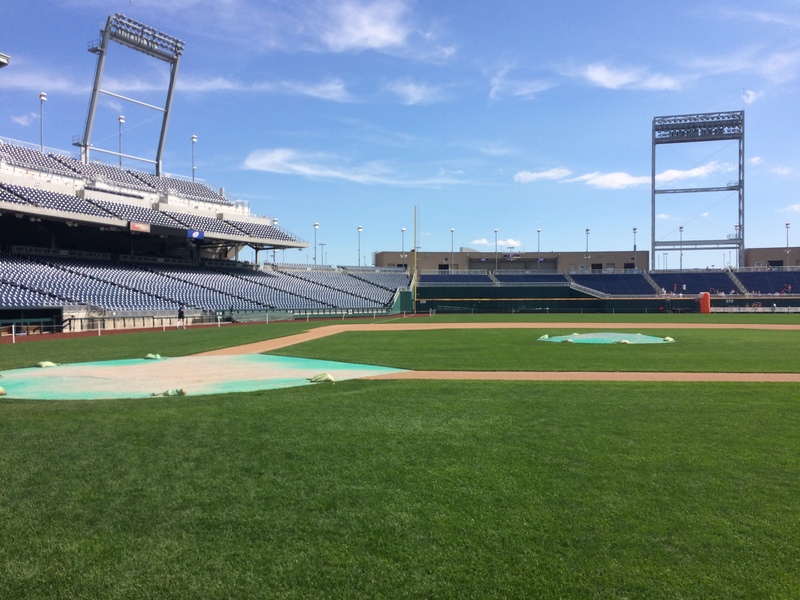 Omaha might have been the wake-up call I needed to turn it around in 2017.